Buy a ‘pieton’ pass and explore the 3 Valleys on foot! You could arrange to meet up with your friends & family for lunch in one of the mountain restaurants, or why not head down into Meribel village to explore our large neighbouring resort! Click here fora map indicating all the lifts that are available for pedestrians. 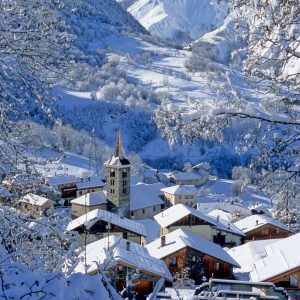 Book into a guided snow-shoe tour and discover the beautiful surroundings that St Martin de Belleville has to offer or simply rent snow-shoes and go exploring on your own. There are many safe and absolutely stunning walks to do in the area! Béla Vya is part of the renowned 5-star hotel ‘La Bouitte’, situated in the hamlet of Saint Marcel. When booking a massage treatment, you’ll have use of all the spa facilities, and there is even a free shuttle service from your chalet! Leen Paô is situated within the ‘Chalets du Gypse’ residence, a short walk from St Martin’s village centre. Book into a massage treatment and have access to all the on-site facilities (swimming pool, two Jacuzzis, two saunas, two hammams and an equipped fitness room) for free. It’s a great deal! 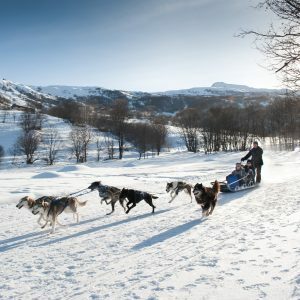 Spend the day with a pack of sledding dogs – Take a magical trip through the bottom of the Belleville valley – A great experience for all ages. Make sure you get booked in early – this is a very popular activity! Classic cross country skis are easy to use and available to rent in the local ski hire shop. Alternatively you can book lessons and try out ‘skating’ – This will get your heart pumping. It’s great exercise as well as great fun! There are 28kms of marked out cross country pistes in the valley from St Martin de Belleville all along the river to Les Menuires as well as Le Châtelard. There are endless options for tobogganing. 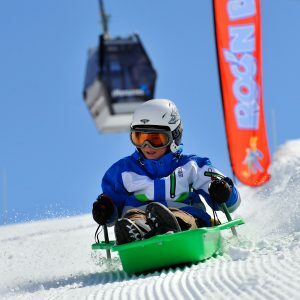 Start at the Saint Martin nursery slope (sledges can be hired from the ski rental shop) or make your way to the ‘Roc’n Bob‘ track in Les Menuires – A 4km long tobogganing course! Get your ticket and sledge from the bottom of the Roc 1 gondola in Les Menuires! ‘Speed Mountain‘ is another great option to keep the little ones entertained. A small roller coaster set directly next to the ski slopes. Easy access with skis – At the bottom of the Bruyères gondola where tickets can be bought! There is a small ice rink in the St Martin village centre, directly next to the church. A fun afternoon activity for children that aren’t yet tired out by a day on the slopes!